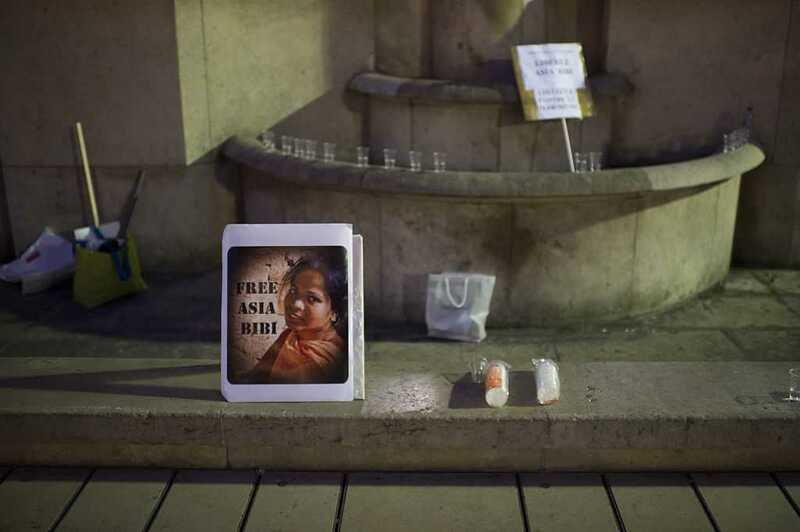 More than 541,000 people have signed a petition demanding the release of Asia Bibi, a Pakistani Christian woman who has languished for six years on death row over the allegation that she insulted the Prophet Muhammad. Bibi, a Christian mother of five, was imprisoned years ago and found guilty of violating Pakistan’s blasphemy laws by two separate courts before taking her appeal to Pakistan’s Supreme Court. Last month, she faced a significant setback after a judge recused himself from her case, thus further delaying a ruling on the matter. As a result, activists are speaking out in support of Bibi with letters and public outcries — and the American Center for Law and Justice, a U.S.-based Christian advocacy group, has created a petition urging Pakistan to release her. The organization alleges that Bibi’s only crime was “affirming her faith in Jesus Christ,” and has pledged to work tirelessly toward Bibi’s release; the petition is just one example of the ACLJ’s ongoing efforts to try and free the Christian woman. The case against Bibi hinges on an alleged fight she had with a Muslim woman during which authorities claim she insulted the Prophet Muhammad. The fight is said to have broken out after the Muslim woman refused to drink from the same cup as a Christian. As a result of the clash, Bibi was charged with blasphemy in 2010 and sentenced to death, the Guardian reported. Pakistani law bans insults to Muhammad, though this is reportedly the first time the Supreme Court has heard a challenge to that law, making the results momentous regardless of how it is decided. Bibi’s plight has sparked outrage both within Pakistan — and beyond. Debate over her specific case as well as blasphemy laws more broadly has been so intense that Salmaan Taseer, the former governor of Punjab, was assassinated in 2011 after he spoke out in defense of Bibi, the Guardian noted. According to One News Now, Bibi’s case has been delayed after the presiding judge — purportedly fearing Muslim mobs that might attack him as a result of his ruling — abruptly resigned. But the Guardian reported that Justice Muhammad Iqbal Hameed-ur-Rehman recused himself from the case due to his involvement in a the related case surrounding the murder of Taseer; he said this would complicate his participation as one of the three judges presiding over Bibi’s case. Saif-ul-Mulook, Bibi’s lawyer, said it could take weeks or months to find another judge, according to the Guardian. Unlike the ACLJ and other advocates who charge that the blasphemy law is used to persecute religious minorities, extremists and hardliners are demanding that Bibi be put to death. Bibi is the first woman sentenced to death under the blasphemy law. Her husband and children are living in hiding after receiving a plethora of death threats, the BBC reported.